Preview of My AireCon Haul! 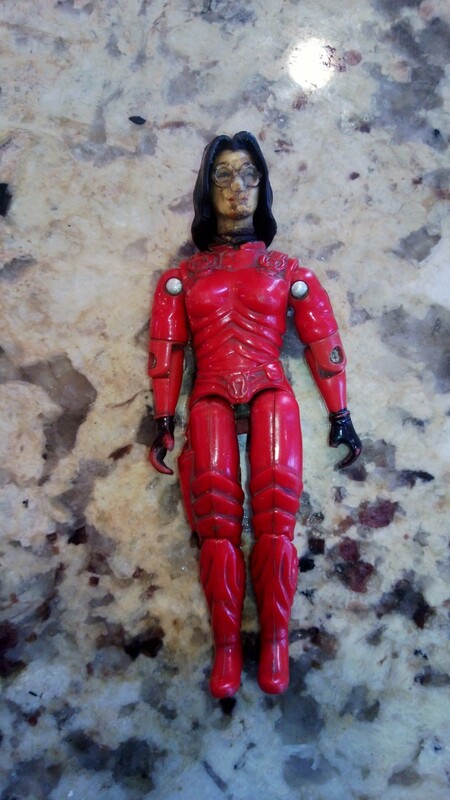 So a couple weeks ago I alluded to the biggest GI Joe haul of my life – combine that with a second one from yesterday – and I have two huge hauls of Holy Grail items from one of the best collectors, Aire Devon, and her (maybe now former) premiere collection. 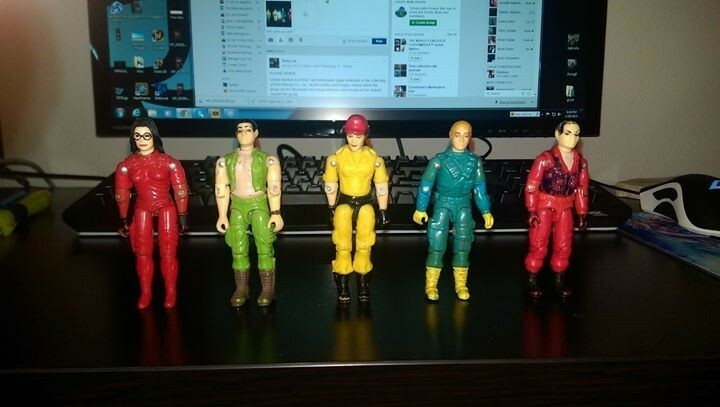 I have always been a big Tiger Force fan so when I heard that Aire was selling I knew Tiger Force would be a huge focus for me. I also have wanted at least one item from Venezuela. 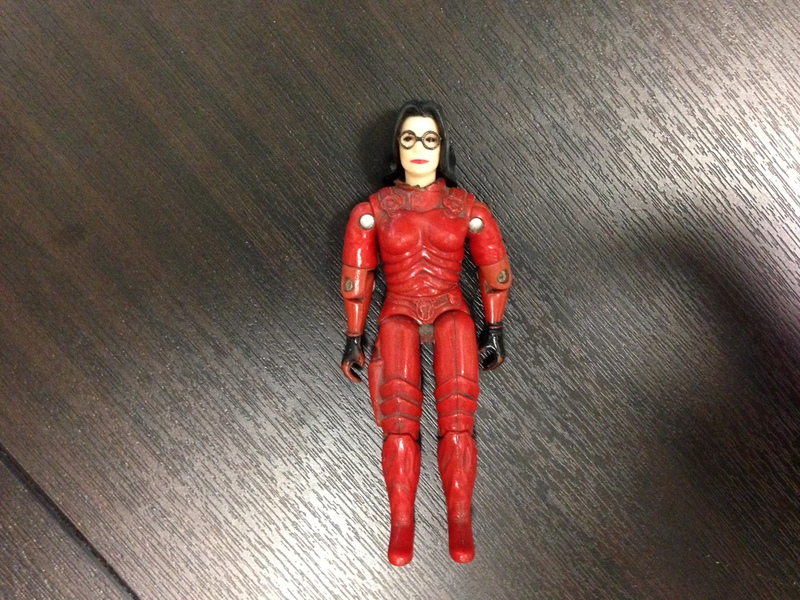 I have tried several times to get one – being outbid, and almost scammed out of $800 (thank you Paypal). 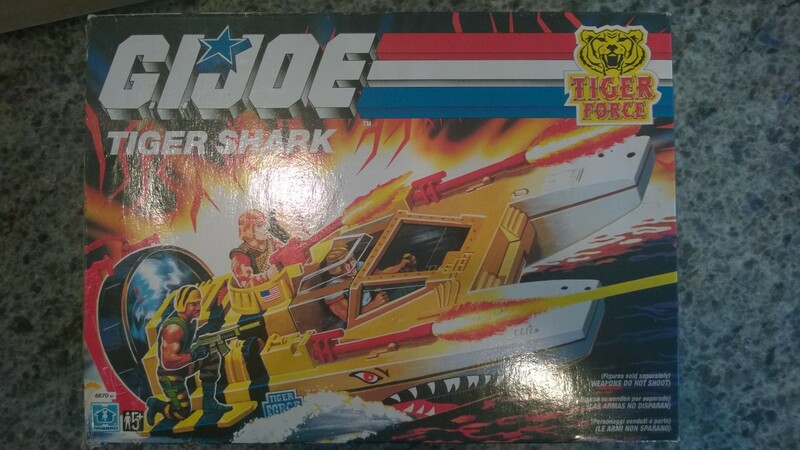 So I was extremely happy to get an Venezuelan vehicle that was also Tiger Force! 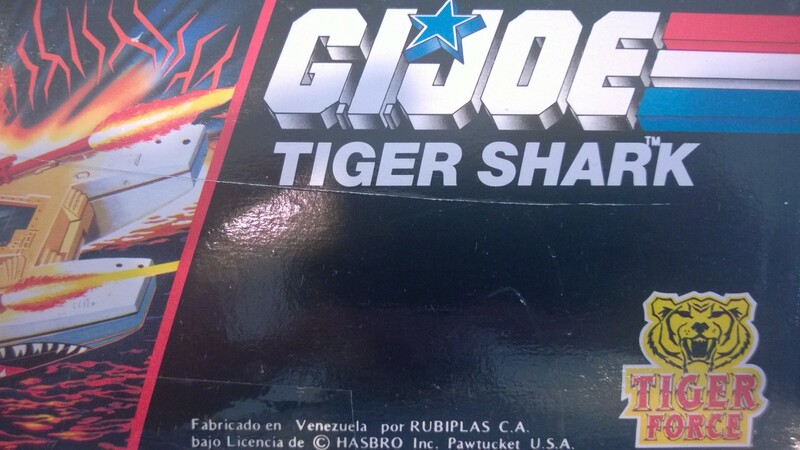 I snagged a MIB (never in my wildest dreams, did I think I would own a MIB Venezuelan item) Tiger Shark! 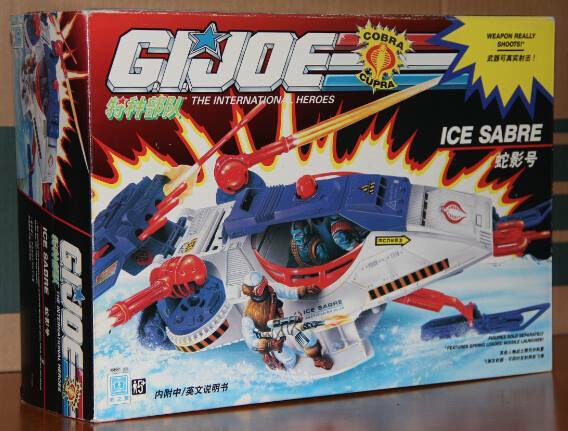 The box is in great shape, afa worthy for a Venezuelan item. I was VERY surprised to find out that the vehicle boxes used in Venezuela were not unique (like Mexico, Brazil and Argentina). Venezuela used European boxes and box art. 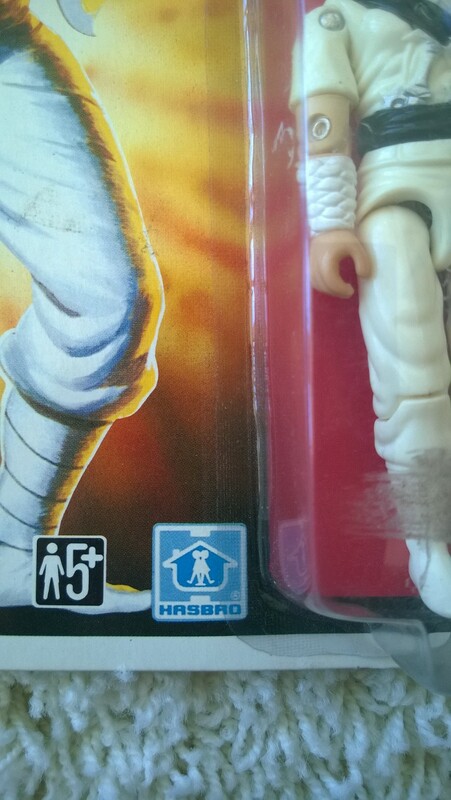 The only difference on the exterior is the “Rubiplas” company name on the side of the box. 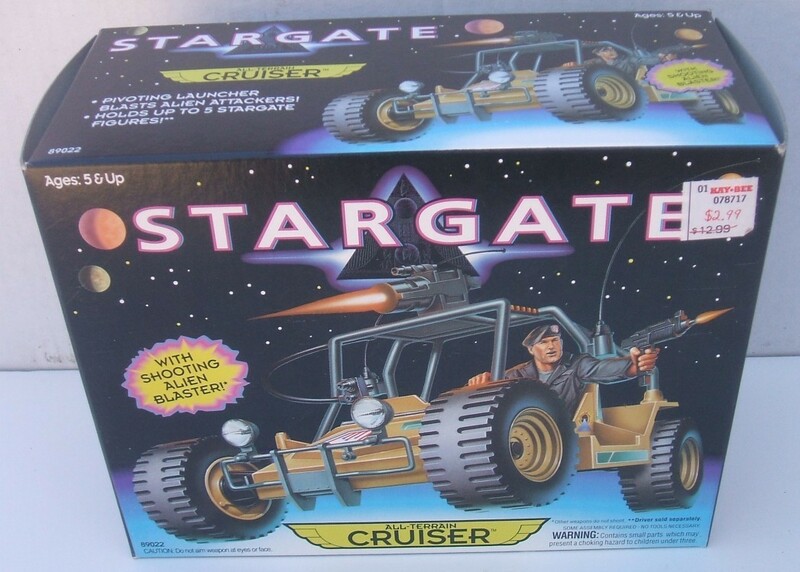 Also, Venezuelan vehicles never came with vehicle drivers, so if there was a portrait of a figure that came with a vehicle it was recolored red. 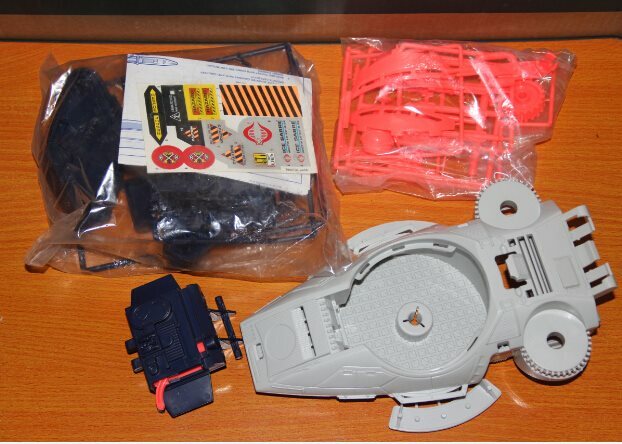 The other item that I will preview (many more posts to follow) is a Chinese release Paralyzer. 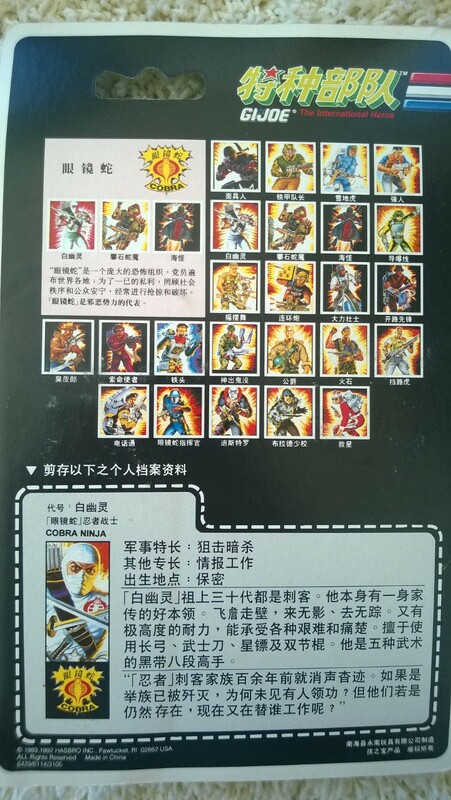 While this may not seem interesting, what is unique about this, is that the Chinese version took the Brazilian box and box art, including Portuguese language, and added the Chinese language to it. The end result is a really interesting and unique looking box. I have to say a HUGE thank you to Aire for speaking with me and giving me TWO incredible opportunities to buy from her. I felt like a fat kid in a candy store. Her collection is absolutely amazing. 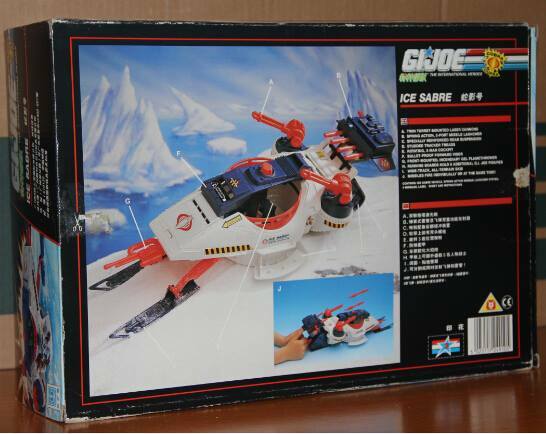 And it is a little sad that the most complete GI Joe collection ever assembled is being sold. 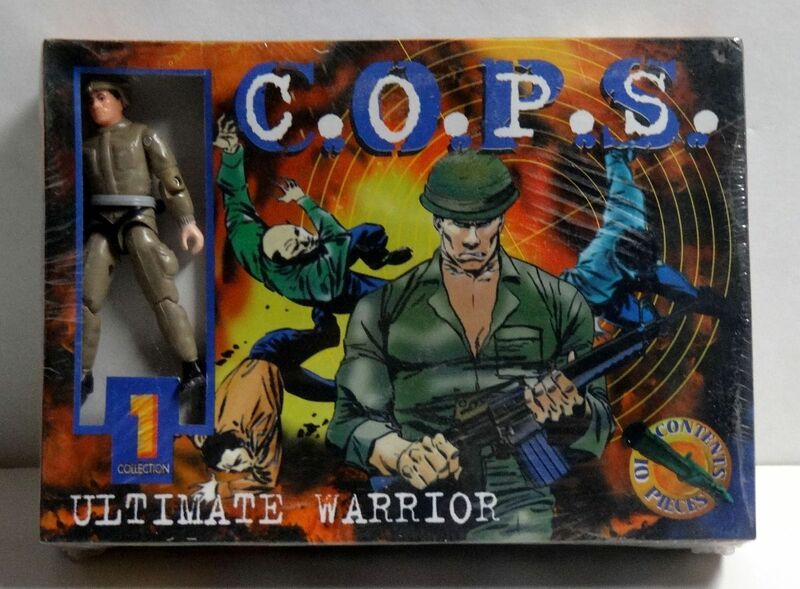 But a lot of it (probably most) has ended up in the hands of great Joe collectors. 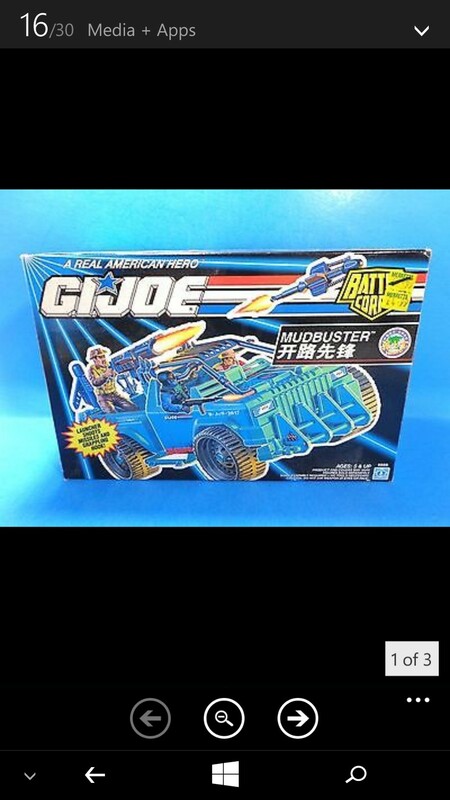 Expect to see a lot of very rare Tiger Force items as well as a ton of Chinese figures and vehicles soon! 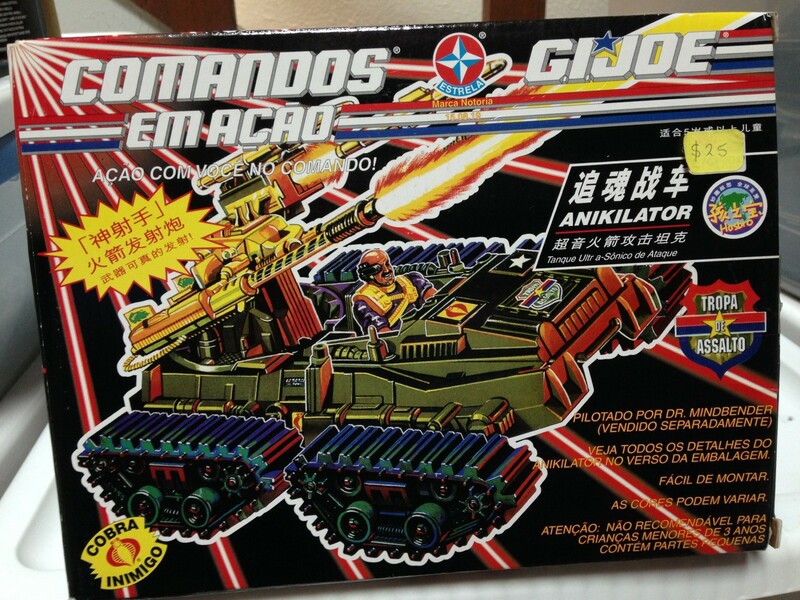 Categories: Uncategorized | Tags: Brazilian, Chinese, Cobra, Foreign GI Joe, G.I. 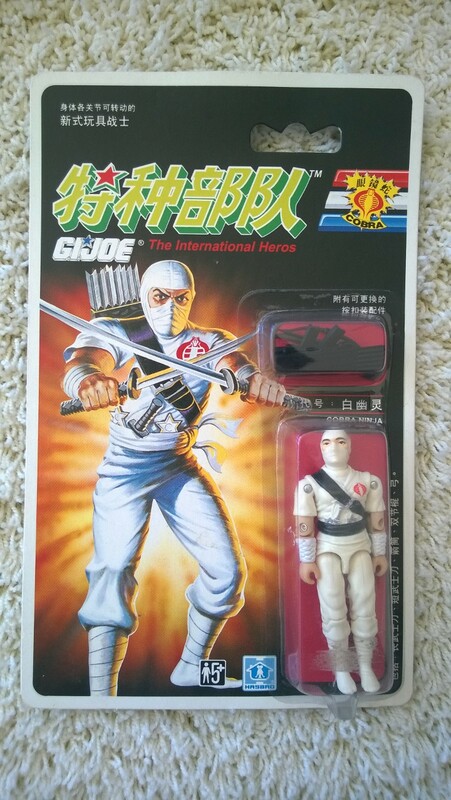 Joe, GI Joe, Holy Grails, International GI Joe, Rubiplas, Venezuelan | Permalink.